Leading into another 9/11 anniversary, the normal al Qaeda scarefest is nowhere to be found. This year’s fearmongering is all about ISIS, and September started by taking the rhetoric up a notch. Back in August, it was all about how ISIS is tremendously well-funded and like nothing the Pentagon had ever seen and another 9/11 was on the way. Then we were told an ISIS terror attack on American streets is highly likely; so likely, in fact, that an Imminent Terrorist Attack Warning By Feds on US Border alert was released featuring the possibility that ISIS groups operating out of the Mexican border city of Juarez might attack the U.S. with car bombs, although no specific threats had been received. 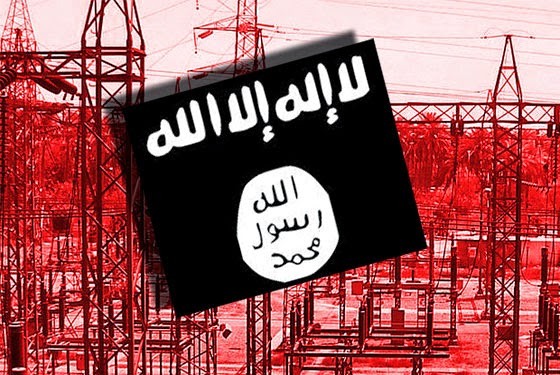 Washington Examiner: "New ISIS threat: America’s electric grid; blackout could kill 9 of 10"
If these experts and reporters have left any detail to the imagination on exactly how ISIS could carry this plan out and what precise steps are needed to make it a reality, I’m not sure what that is.